Ceramics & Glass Waterjet Cutting | Rayotek Scientific Inc.
Rayotek’s high precision waterjet cutting services and machining center is specifically configured for precision shaping of hard, brittle materials and to facilitate repeatable accuracy for cutting patterned products. Rayotek’s Waterjet cutting services are offered to replace far more costly and time consuming diamond cutting and grinding methods. Rayotek’s custom configured ceramics and glass waterjet cutting services and machining center is also dedicated to cutting brittle materials such as sapphire, fused quartz, fused silica, silicon nitride, alumina and other refractories. 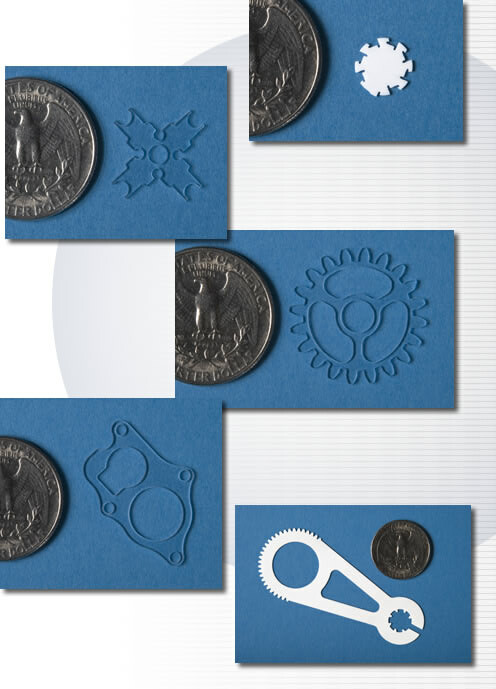 Rayotek’s expertise in cutting these hard materials results in reduced micro-structure damage to material surfaces. Parts with reduced micro-structure damage are more resilient to thermal cycling and mechanical stresses, making them stronger and more durable. For patterned wafers and components, a special camera imaging system is used to electronically locate feducials or designated locating marks. 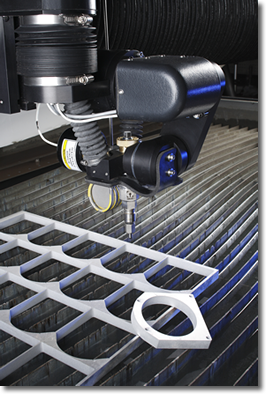 Our high precision ceramic and glass waterjet cutting system allows for precise and repeatable cutting of patterned features also on silicon, silica wafers and sheets without damaging delicate parts. 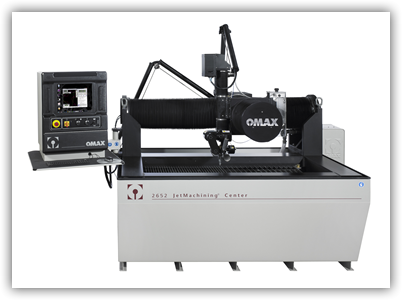 This is ideal for patterned medical and semiconductor devices which must be cut precisely from wafers; such as complex shapes for heater traces and other electronic devices. Rayotek also has a number of thermal processing systems for oxygen, inert, reducing and vacuum annealing of cut and ground parts to temperatures up to 1800⁰ C for post process stress reduction. your unique ceramics or glass waterjet cutting and grinding needs, or any other material such as sapphire, quartz, fused silica, silicon and other refractories. *Actual Machine accuracy is determined by design, material and thickness.